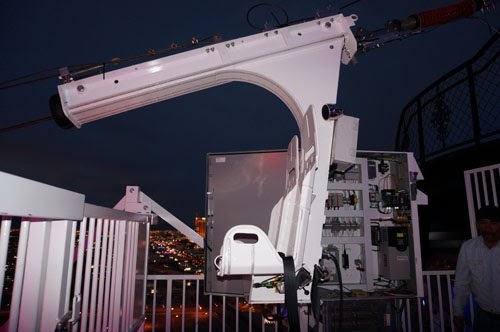 The rides will start from the VooDoo Lounge, atop the Rio's 50-story Masquerade Tower and the total ride covers nearly one-third of a mile and takes 1 minute and 10 seconds from start to finish. Today was the test day for the new thrill ride, a zip line-like attraction called VooDoo ZipLine. 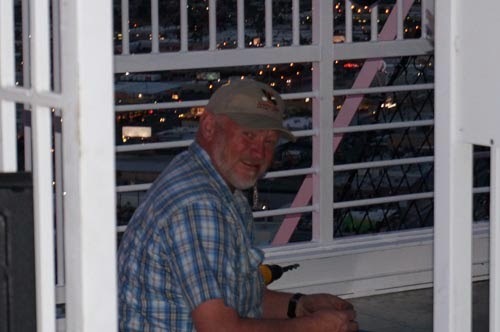 It is expected to open in about two weeks at the Rio Hotel & Casino, Las Vegas and it will connect the resort's two towers. Today, Vale Simmons, co-owner, Kurt Morgan, installer, Bobby Espinoza, Maintenance Manager, and Chris Lampa, General Manager were working very hard to make it happen in two weeks. Van Kim came from Phoenix to be one of the first to ride the VooDoo ZipLine. 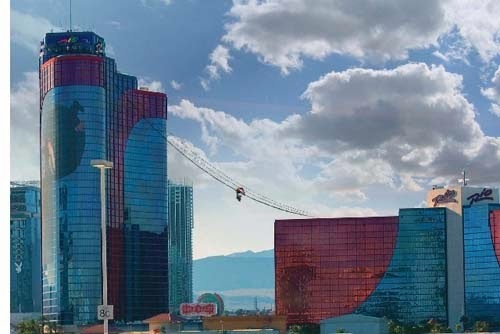 Bruce Buffer announces the official opening of the VooDoo ZipLine at Rio All-Suites Hotel & Casino Las Vegas.